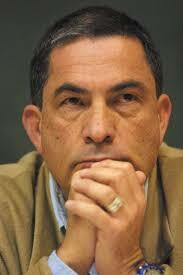 Gideon Levy is an outspoken Israeli journalist who writes opinion pieces for Haaretz. Called "heroic" by some, a "propagandist" by others, his weekly columns often focus on the Israeli occupation of the Palestinian territories. He has been writing for Haaretz since 1982. This piece appeared in yesterday's Haaretz, on the eve of the Israeli election. With all the desire to gloat and boast – and there’s a lot to brag about – we should remain grounded in reality: We must realize that this celebration is limited to the masters (and mistresses) only, that it is democracy in appearance alone. There’s no such thing as half pregnant, and there’s no such thing as half democracy, and what will take place here today is barely half democracy. The occupying people will go to the polls. On a good day, the occupied people can only dream about the polls. Their fate will be determined in their masters’ elections. Their masters will determine their future; they have no right to participate in that process. In the meantime, their prime minister is to all intents and purposes an Israeli general who determines most of their daily lives. The real hole in the ozone of Israeli democracy is the ongoing lives of over four million people living under a brutal, violent rule, all the while having not even the slightest amount of participation or involvement. There is no other country in the world in which millions of its subjects are denied the right to vote – while that country is labeled a democracy, and not just any democracy, but the only (!) democracy in the region. 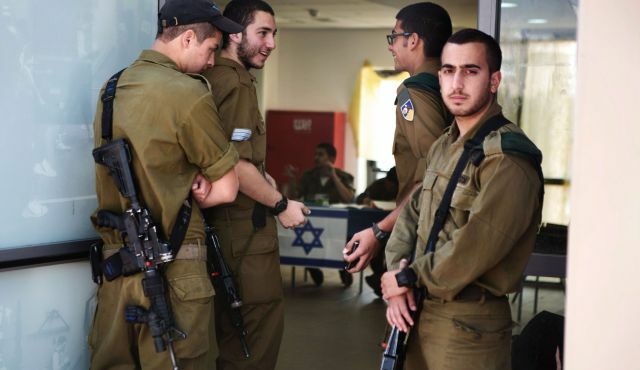 During the term of the Knesset that will be elected today, the 20th, Israel will mark the jubilee celebration of this state of affairs; in two years, the Israeli occupation will be 50 years old. The way it looks now, it’s safe to assume that even the Knesset after this one won’t be elected based on the votes of the occupied, nor will it feature representatives who come from among them. And it will still be called democracy. Four million people, in the besieged Gaza Strip and the occupied West Bank, can perhaps vote for their "community council," the Palestinian Authority, but they can’t participate in the real game, the one that seals their fate. For decades, their fate has been determined much more in Jerusalem and Tel Aviv than it has in Ramallah or Gaza. Their freedom, livelihoods, health, education, lives and deaths are determined in a place in which they have no status or rights. Only a system of denial, oppression and surprisingly effective brainwashing can conceal this eternal fact. Indeed, Israel has managed to deceive itself and the rest of the world for 50 years: It is a democracy, and today it is celebrating yet again. It’s true that Israel is a democracy vis-a-vis all its citizens, with particular privileges granted to the Jews among them. It’s true that Jews are offered liberal democracy complete with many impressive freedoms. But what is all of that worth, with a terrible darkness looming in Israel’s very backyard, there in the glow of its democracy. Not only is the government in Israel’s backyard undemocratic, it’s one of the cruelest tyrannies in our world. Was the United States a democracy before the 15th Amendment to the Constitution in 1870, which gave blacks the right to vote? Were all the Western countries considered democracies before they started allowing women to vote, beginning in 1893 with New Zealand, and lasting until 1971 in Switzerland? Is democracy for whites only? Or men only? Or masters only? Does anyone consider those things democracy? But Israel in 2015 considers itself a democracy while ruling over the lives of four million people who lack the right to vote. How ironic it is that some of them probably labored in recent weeks printing ballots slips for their masters in the colonial printing houses in Karnei Shomron. How ironic that Israel considers itself a democracy and Election Day a celebration, while all this goes on. How ironic that my mentioning these facts is likely to be considered treasonous by some, in this one and only and wonderful democracy. By Gideon Levy. Published March 16, 2015 in Haaretz.